The title of this audio seminar pretty much says it all. Ross Brittain's 35 years of morning radio success are due to talent, hard work, long hours — and a "big picture" view of Show Prep and Show Structure that continues to keep him at the top of his game. 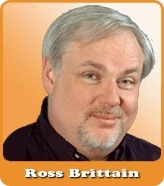 Morning show producer as "Stunt Brain"
Keeping your eye open for "sidebar material"
Ross Brittain has enjoyed morning show success for three decades. Billboard magazine's Major Market Air Personality of the Year. Co-host (with Scott Shannon) of Z100/New York’s original, legendary Z Morning Zoo...Mornings at WABC/New York (in both its music and its talk formats)...Currently morning host at WOGL-FM/Philadelphia...Publisher of the premium show prep service, “The Ross Brittain Report.” Ross hasn’t slept in 35 years. Immediate delivery! When you submit your order, you’ll be able to download this valuable audio seminar + PDF Transcript immediately. Click the button below to add the How To Find, Hire, Train & Keep a Great Radio Morning Show Producer by Ross Brittain to your wish list.